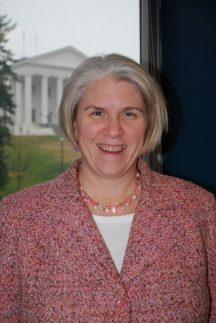 Michelle Welch is a Senior Assistant Attorney General in the Virginia Attorney General’s Office. She is the Director of the Animal Law Unit at the Attorney General's Office. She is charged with taking all animal law questions in Virginia. She is called on by agencies all over the Commonwealth to act as a special prosecutor in animal cruelty and animal fighting cases. Ms. Welch has also been appointed a Special Assistant U.S. Attorney for the Western District of Virginia to aid in animal fighting prosecutions. Ms. Welch frequently gives advice to law enforcement authorities and prosecutors all over Virginia, the nation and internationally. She trains prosecutors, animal control and law enforcement officers on the state of Virginia animal law and testified before a U.S. Congressional Caucus examining the enforcement of animal laws and the cooperation between state and federal partners. She is a speaker at many conferences including Virginia Animal Control Association and the Association of Prosecuting Attorneys’ National Animal Cruelty Conference.